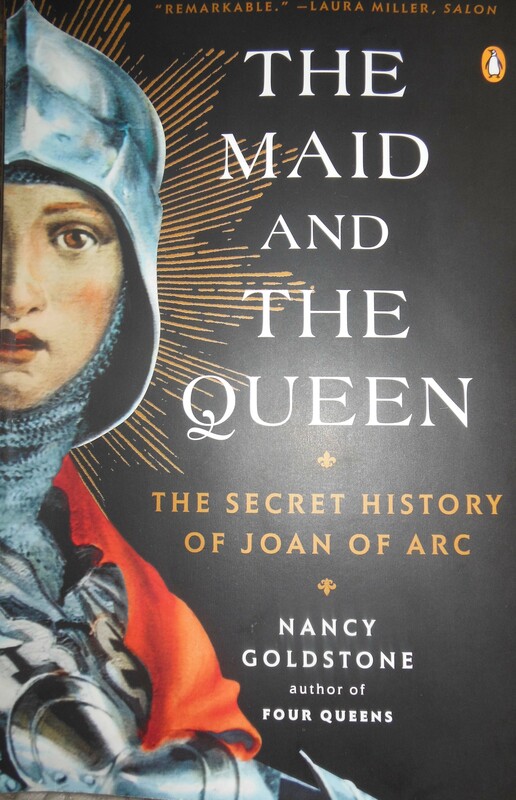 The Maid and the Queen, the Secret History of Joan of Arc by Nancy Goldstone explores the relationship between Joan and Yolande of Aragon. Also known as the Queen of Sicily, this powerful, clever and politically astute woman who becomes the mother in law of Charles VII before the Maid’s appearance ( he was still merely the disputed monarch, the Dauphin) is set forth in Goldstone’s very plausible argument establishing Yolande as the gatekeeper who sets Joan’s remarkable, short-lived career in motion. Explaining the complicated relationships during the HundredYears War is challenging yet the author guides us through the life of Joan, seen through Yolande’s prism with great skill. 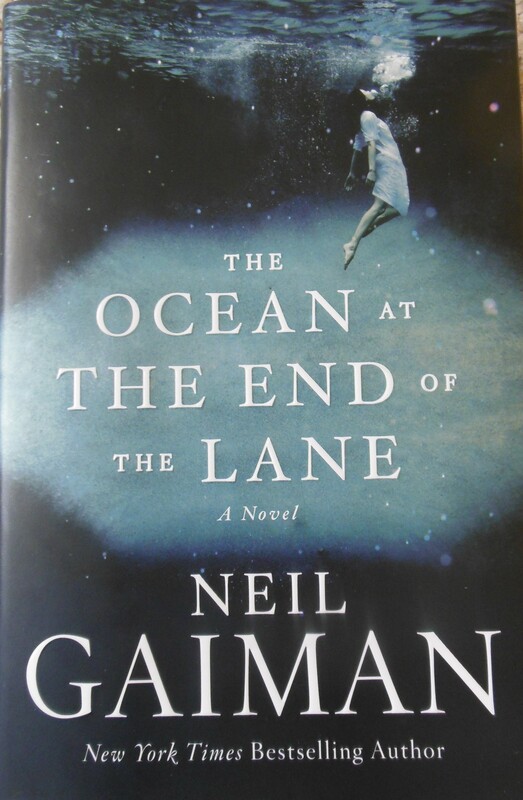 The Ocean at the End of the Lane by Neil Gaiman – this is definitely a departure for me but I kept running into this small novel by the acclaimed best selling author…and I enjoyed it. Fantasy is not my preferred reading (although isn’t all reading a form of fantasy and that’s why we love it?) but in this reminiscence, the narrator takes us on a journey into his past in Sussex, England. A reclusive boy comes of age through the friendship with three women at the end of the lane. The fragility of adolescence are poignantly rendered along with the need for all of us to have a friend. 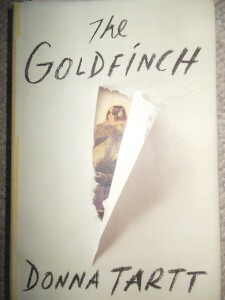 The Goldfinch. Bestseller. Breathlessly awaited for…an entire decade! 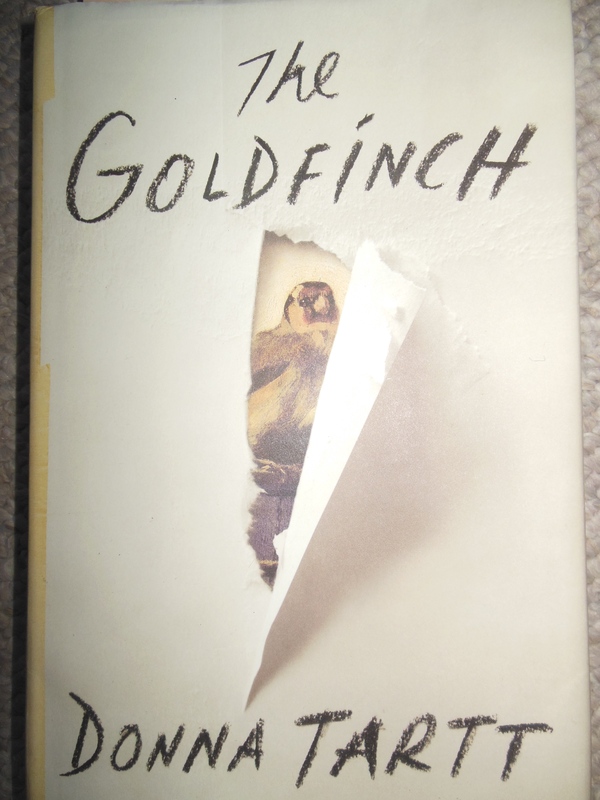 No slapdash thrown together novel does Donna Tartt write. No she composes, creates a world and in this case, the world of a fairly unlikable boy. A little Holden Caulfield, some Huck Finn and Oliver thrown in for good measure. Theo Decker is a liar, thief, body abuser (he ingests any substance that will dampen his consciousness) motherless adolescent when we meet him just prior to his mother’s death in the Metropolitan Museum of Art. A bomb blast destroys his mother (a delightful person who is missed by the reader as much as her son) and in the course of escape, Theo removes Fabritius’ “The Goldfinch” which begins us on the journey into upper and lower east sides of New York, a Las Vegas suburban wasteland (enter sidekick Boris), the world of antique dealing (and wheeling) forgery, fraud, fine furniture repair. 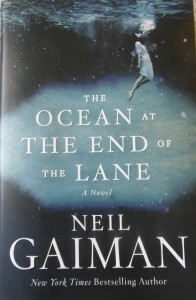 Theo’s solipsism gets tiresome and he throws up far too much, but Ms. Tartt has crafted a modern voice, captured the moods of people with too much time and money on their hands, rendered a criminal world that seamlessly fits into the moral abyss (“there’s no truth beyond illusion”) and told a rollicking good tale.